The Caló d’en Perdiu near s’Amarador belongs to the Parc Natural de Mondragó. There is no access to the water other than by boat. 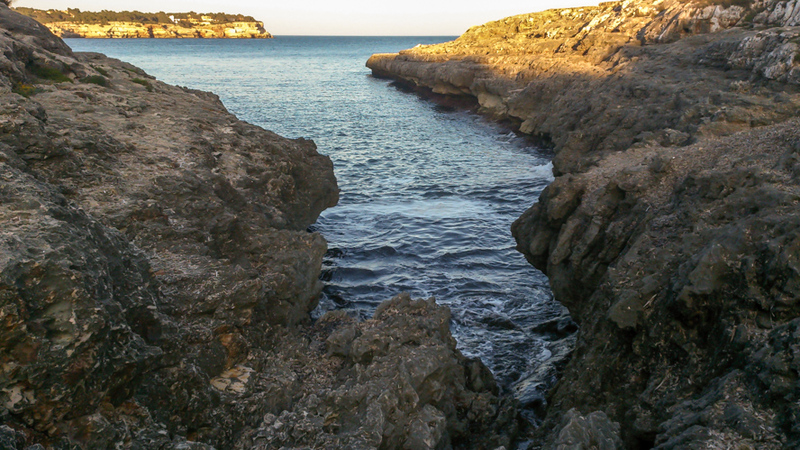 The photo was taken near Santanyí, Mallorca, Baleares, Spain. The date: March 16th, 2014.